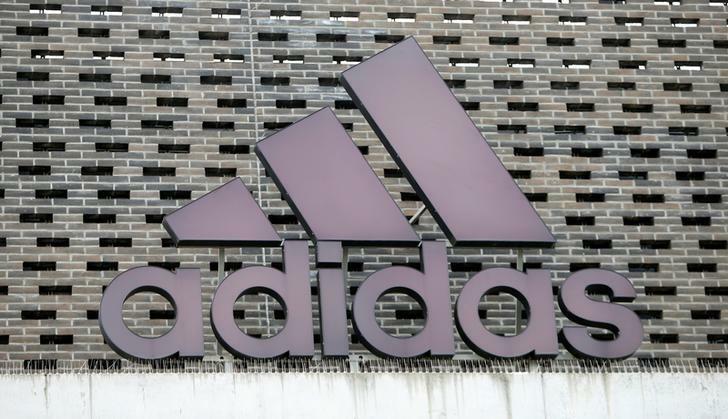 HERZOGENAURACH, Germany (Reuters) - Adidas (ADSGn.DE) plans to buy back up to 3 billion euros (2.66 billion pounds) of its shares by May 11, 2021, representing almost 9 percent of its share capital, it said on Tuesday, including up to 1 billion euros this year. The German sportswear company, which has a market capitalisation of about 35 billion euros, said it ‍intends to cancel most of the repurchased shares and will finance the buyback with current net cash and through its expected strong cash flow in coming years. After a strong performance in 2016 and first half of 2017, Adidas shares have fallen 15 percent in the past six months, dented by disappointing third-quarter results to trade at a discount to rival Nike (NKE.N) despite stronger sales growth. It reports fourth-quarter results on Wednesday, when analysts expect it to report that sales and profit have picked up again. Adidas launched its previous share buyback, for up to 1.5 billion euros in 2014, when the company was trying to placate angry investors after a string of profit warnings. Since then, the company has turned its business around under Chief Executive Kasper Rorsted, who took over in 2016. It also sold its struggling golf brand TaylorMade last year for $425 million. Adidas said it already has shareholder approval for the repurchase of 9 percent of its share capital. The buyback is in addition to company's policy to pay a dividend in the range of 30-50 percent of net income from continuing operations​, it said in a statement.